<?xml:namespace prefix = st1 ns = "urn:schemas-microsoft-com:office:smarttags" />Pittsboro, NC: On June 20, 2008, approximately 70 food professionals, chefs, food writers, and food connoisseurs gathered at Ayrshire Farm in Upperville, VA, to participate in a blind-tasting which compared beef from eight rare heritage breeds and two widely available breeds of cattle. This unique event presented meat from the chuck section of each breed roasted simply, without spices, and cut into bite-sized pieces in covered dishes at numbered stations. Numbered toothpicks and scorecards were provided to aid in evaluating the beef. The meat was scored based on flavor, texture, tenderness, smell, and appearance. The breeds tasted were: Ancient White Park, Angus, Dexter, Galloway, Highland, Milking Devon, Pineywoods, Randall Lineback, Red Poll, and (beef) Shorthorn. Many of these breeds are endangered and are considered important reservoirs of genetic diversity by the American Livestock Breeds Conservancy. 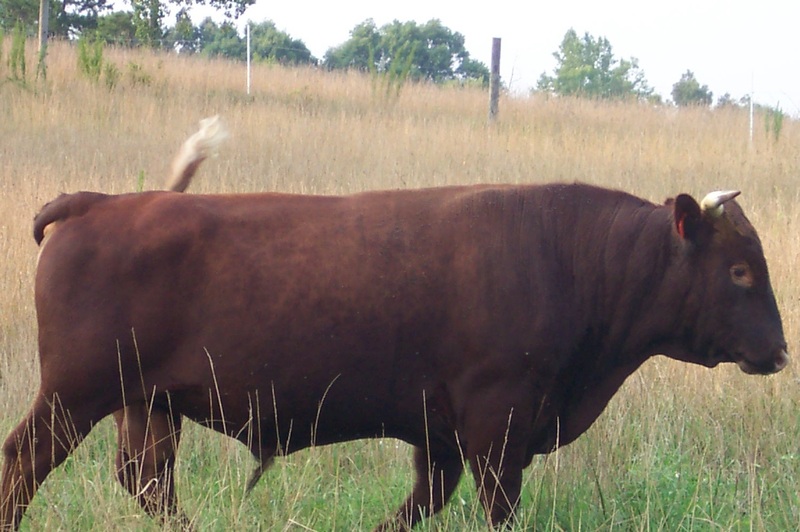 As examples of critically rare remnants of landrace cattle that helped found the United States, Pineywoods cattle are adapted to the deep South and Randall Lineback cattle are native to New England. After tasting the beef, the enthusiastic crowd was asked to vote for their favorite number before the breed identities were revealed. The winner of the popular vote in this ground-breaking tasting was the Randall Lineback, with second place going to the Galloway and third to the Dexter. The top three favorites each received nearly twice as many votes for first place as any of the other breeds tasted. Though some breeds had few supporters as first choice, it should be noted that many of these breeds garnered second and third placements on individuals’ tally cards. “I was amazed how different people preferred different breeds to such an extent that there was no obvious winner.” Remarked Kristi Bahrenburg Janzen of Edible Chesapeake. All but three of the breeds – the Milking Devon, the Randall Lineback, and the Red Poll – had been finished on Ayrshire Farm, fed an organic finishing feed, and raised and processed humanely, following Humane Farm Animal Care’s standards. The Randall Lineback was grown and finished on Chapel Hill Farm. The Milking Devon and the Red Poll were grass-finished as there were no steers available to finish on grain due to rarity and herd reduction following the drought of 2007. 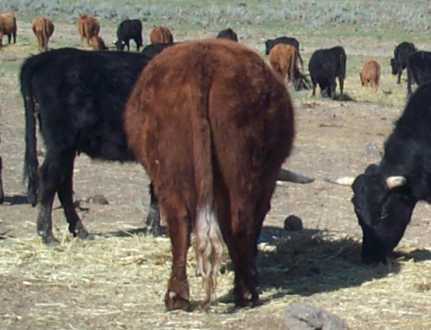 What’s the Beef – An Historical Event was produced through a partnership of the American Livestock Breeds Conservancy, Humane Farm Animal Care, Slow Food USA, and Ayrshire Farm. On Friday, June 20th, 2008, The American Livestock Breeds Conservancy, Humane Farm Animal Care, Slow Foods USA, and Ayrshire Farm sponsored the first of many upcoming Historical and Culinary tastings. This 2nd event featured "What's the Beef? - An Historical and Culinary First" and was held at Ayrshire Farm in Upperville, Loudoun County, Virginia. *Participants voted only for their first choice. Many breeds, like the Pineywoods and Milking Devon, were second or third choices for many participants. **These photos may be downloaded and used to accompany articles about this beef tasting. Please include the attribution, "Courtesy of the American Livestock Breeds Conservancy".